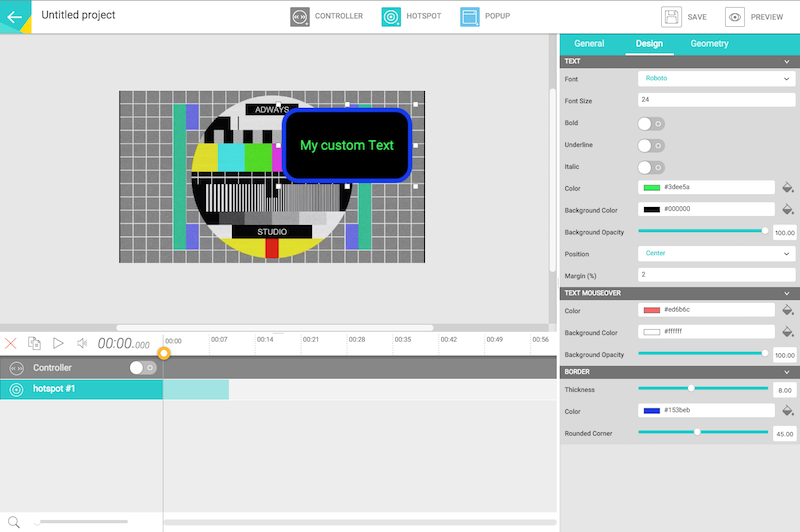 This SDK provides everything to make a content configurable inside the Adways studio. Pre-requisite: Before using CDK you must call composer's autoload. If you are using directly zip file you must call each PHP class files you use. // Must declare the new Template with your api_key, api_secret. With this code the Content Developpment Kit is initialized. Be carefull, if you give bad key and secret you will be not able to use the entire CDK. Enabling this option require to use the AdwaysLib.js library to instanciate communication between your content and Adways Interactive Video library. You can find the documentation about this library HERE. eg: in order to establish a commincation between a content and the interactive video engine. // Content will get clicks and roll-over. Default: This parameter is false. There is an overlay over your enrichment which will catch users actions and click. Use properties to create variables within Adways Studio. This exemple will create a dynamic "String" property allowing user studio to configure his content. You must declare the following property in your class use calls. In your content, after the "new Template(...)" call. Following code create the property. This code declare the property but this property must be "linked" to the "template". If not, this property is not shown within Adways Studio. To add this property within the studio, you must retrieve the "tab" where you want to display it. You must declare Categories in you class use calls. Then you can link your property to any Category tab. Following exemple will display it in "Content" tab. // Retrieve the Content tab pannel. 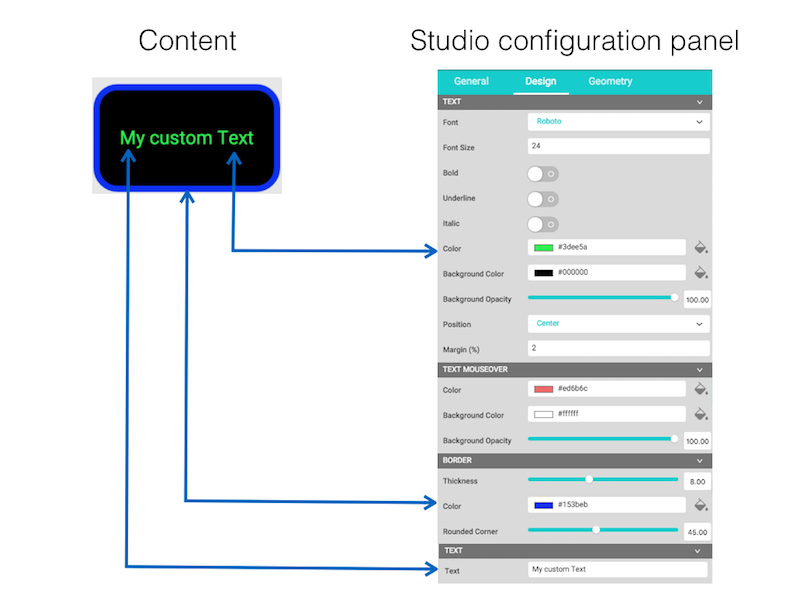 Now this property will appear within the Content tab in Adways Studio when the user will configure his content. Following code will create an enrichment, which simply create a String property, allow user to define it in Adways Studio and display this string in the content. Be carefull: This exemple is not responsive and will appear differently on runtime, regarding the rendered video size.